1921 In the sleepy village of Charlton Ambrose, eight ash trees stand as a timeless memorial to the men killed in the Great War. On a dark and chilly night, a ninth tree appears. Who planted it and why? And who was 'the unknown soldier' for whom it is marked? 2001 Eighty years later, the memorial is under threat from developers. Local reporter, Rachel Elliott, is determined to save it, and to solve the mystery of the ninth tree. 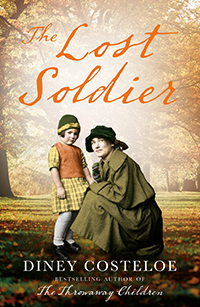 The trail will take her into the dark heart of her own family history; to a great, but tragic, love; and to a secret that has been kept since the war to end all wars.